Governor Godwin Obaseki of Edo state, says his administration will partner the Road Transport Employers Association of Nigeria (RTEAN) in the implementation of the proposed harmonized Tax and Levies bill in the state. Obaseki disclosed this while receiving executive members of both the national and state executives of RTEAN in government house in Benin on Tuesday. The governor said that the synergy between the state government and the body in respect of the harmonized tax bill would eradicate illegality in the tax collection system in the state. He, therefore called on the body to set up an implementation committee that would work with the state government’s special committee instituted to harmonize revenue collection in the state. “We want to work with you and your members on how to implement this bill so that what is due to you can come to you and what is due to our government can also come to our government. “We will not and cannot accept any level of illegality in the state because our democracy is based on the rule of law”, he said. The governor said that for proper accountability, an electronic platform would be used as a mode of collecting taxes in the state. He said that the method would create an atmosphere where tax would be collected in a civilized and proper manner. Obaseki, who expressed delight in receiving the members of the union in his office, noted that their presence had cleared certain misconceptions that would have tarnished the name of the association. According to him, you are very responsible and reliable patriot who keep the engine of the economy running. Earlier, RTEAN’s Secretary General, Mr. Yusuf Adeniye, who led the delegation of the body to government house said the body “is a responsible organization”. He said that his members were responsible and had contributed to the development of the transport sector in country. He, however, disassociated itself from whatever illegal activities of Mr. Eriyo Osakpanwan, the erstwhile Chairman of the state chapter and apologized to the state government on behalf of the union. 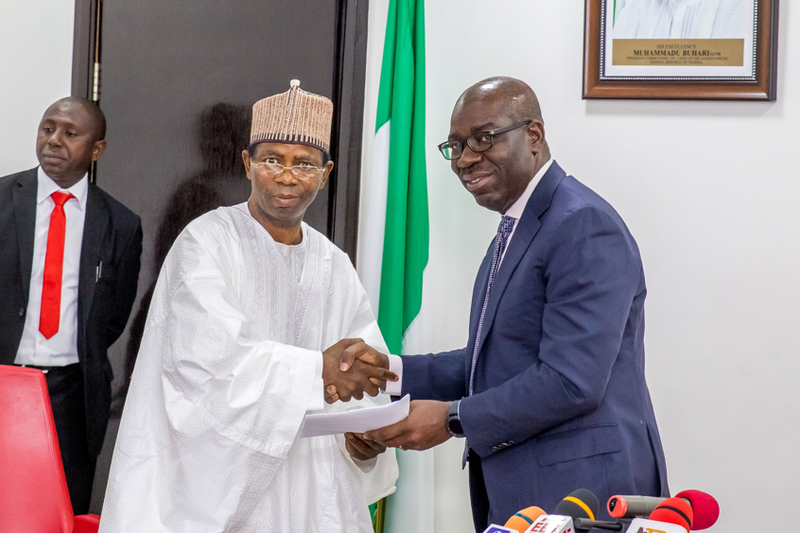 Adeniyi said for proper re-direction of members in Edo state, the National Executives Council (NEC) of the body had dissolved the present State Executive Council (SEC) in the state. He said that a care-taker committee had been duly constituted to pilot the affairs of the association in the state pending the election of a new set of executives. “We shall remain loyal and committed to supporting the government of Edo to achieve its set objectives of developing and ensuring better life for the people and dwellers in the state.